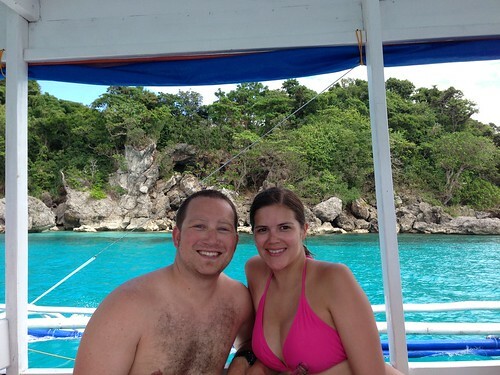 We discovered Boracay, Philippines in a post on Quora and the second I saw the color of that water I knew we had to go. But while planning our RTW trip not much else in the Philippines popped up for us within the endless amount of travel information you can find online. 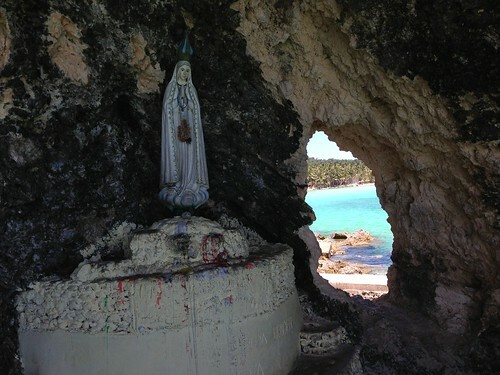 Luckily, we met some new friends who told us about Cebu, Philippines, and then all of a sudden we were there visiting them which meant we were really close to Boracay and it was officially part of our Philippines plan. We saw all the gorgeous pictures of the sea surrounding the 4 mile (7km) long island, but there is nothing like seeing it for yourself. 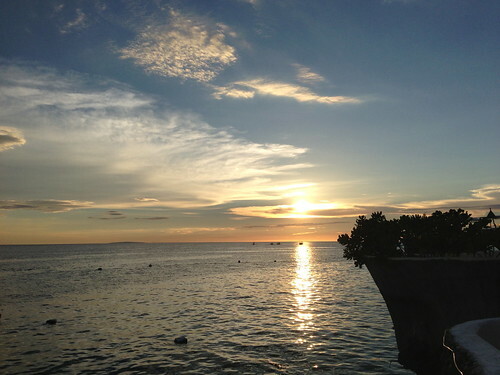 Not only is the Sulu Sea the bluest I have ever seen, but the sunsets we’re the most outstanding, and the sand was the whitest. 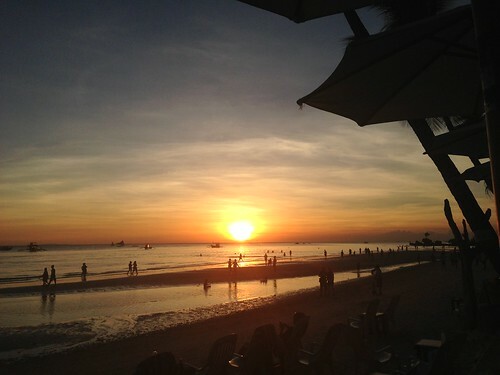 So today I have for you pictures of the 3 S’s of Boracay: Sand, Sea, and Sunsets. Enjoy! 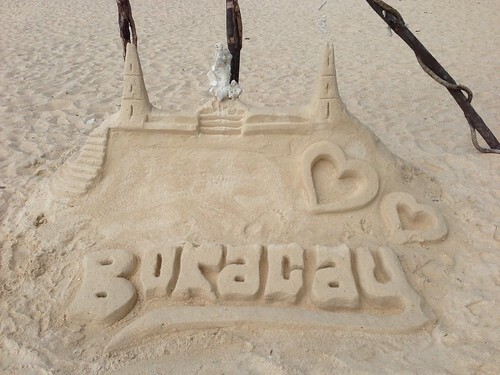 The children in Boracay build these beyond intricate sand castles all over the island! Every beach and every restaurant had their own hurd of kids building something special. The BnB we stayed at, Lazy Dog Bed & Breakfast, was just a short walk from some of my favorite sand on Bulabog Beach, admittedly not as much sand for lounging for a long time since the tide comes up almost all the way to the restaurants and hotels that line the beach. But this wasn’t my lounging sandy beach, it was my stick my toes in the sand and watch the kite surfers do their thing beach. Lazy Dog was a great affordable BnB next to a less crowded beautiful beach: that gets an A+ in my book. 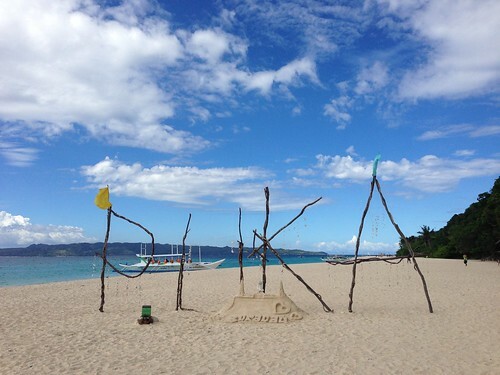 When it was time for lounging we headed to Puka Beach, one of our favorites on Boracay. Plenty of sand for tanning, throwing a frisbee, reading a book, enjoying a picnic, or just to sit and stare at the waves. Here’s those kite surfers I was telling you about. Not a bad spot to get your surf on if you ask me….well, that is if you have enough money to learn here. 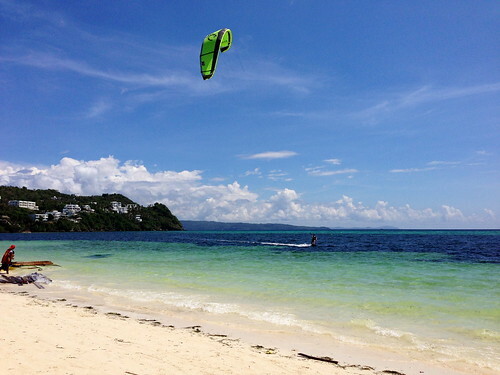 Kite surfing lessons were one of the most expensive things to do on this island, or anywhere in my opinion. So we stuck to kite surfer watching instead. 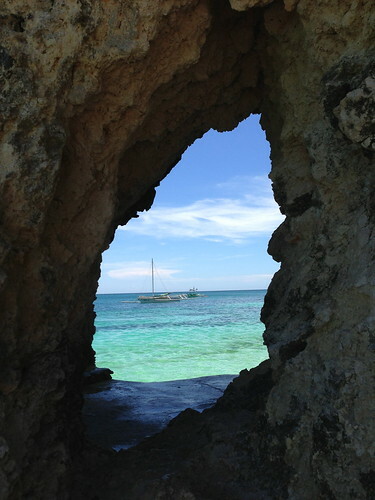 We found this hidden gem while hiking around Diniwid Beach at the upper most part of Station 1. Taking a boat around the island is the best way to enjoy the sea around it. Stopping at the different beaches, snorkeling a mile off shore to see all the beautiful coral and colorful fish, and then pulling up to one of the coolest seaside bars ever! It couldn’t get better! That cool seaside bar is called Spider House right near Diniwid Beach. It’s the best spot to have a drink, jump off the bar for a swim (that’s Greg cooling off in the crystal blue water), and watch some of those beautiful sunsets I’ll be telling you about soon. Remember that time I was telling you about what an ocean scaredy cat I am? Well not any more! 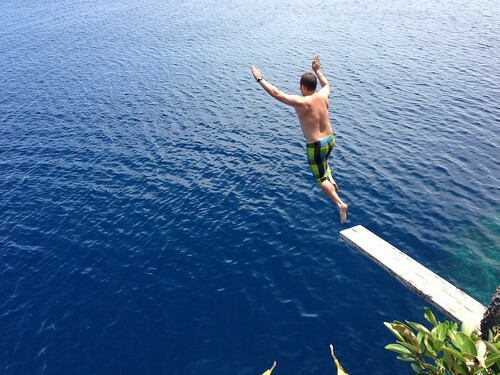 Here’s Greg and I cliff diving into the sea at Ariel’s Point. 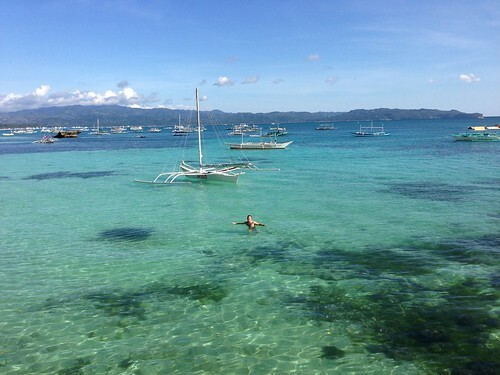 This is a must do if you’re in Boracay! 1,600 php ($39 usd) for a 45 minute boat ride with unlimted beer, rum, and water to Ariel’s Point where just your tour group gets to take over the cliffs to jump into the crystal blue water from any height (I went up to 7 meters…Greg pulled off 9…neither of us could drink enough rum to get the guts to do the 15). And then they give you an unlimited amount of delicious BBQ. 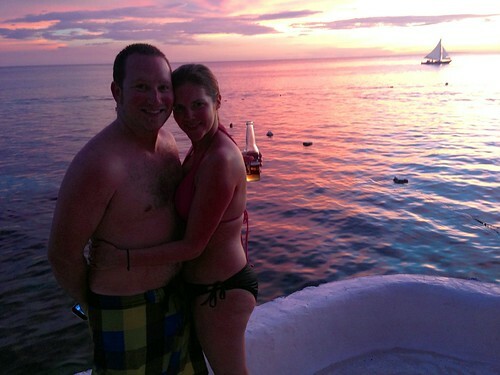 For an all day adventure that we’ll remember forever, it was worth every penny peso. 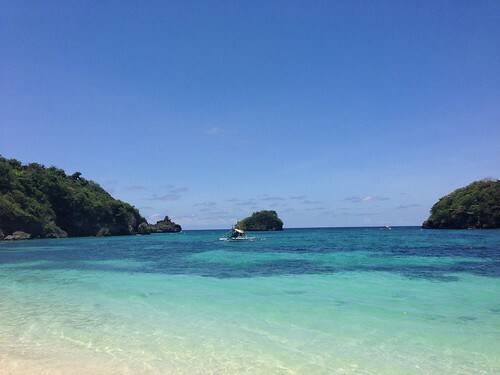 Another one of our favorite beaches, Ilig-Iligan Beach, is completely off the beaten path. We had to go off-roading on a beat up trike a little past Puka Beach then walk about 3/4 a mile down a dirt path that ended with this lovely view. Worth It! We actually discovered while we were there that most people get there by boat, but I think it was way more fun the way we did it. 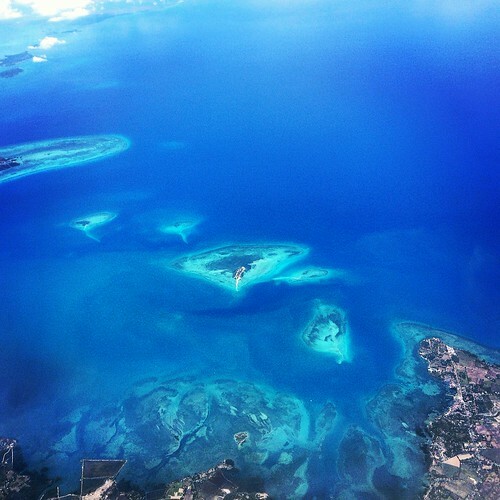 Our final good look at the Sulu Sea was when we left Boracay and it gave us the best good bye ever. I saved the best for last. 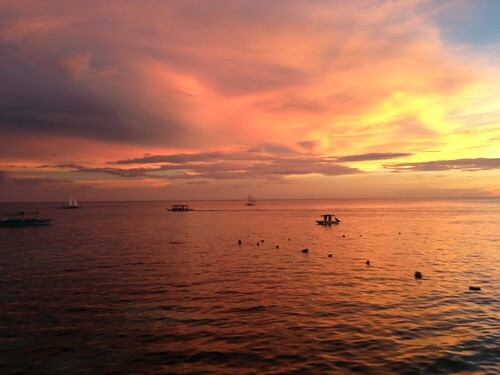 Sunsets were something we enjoyed everyday while we were in Boracay. Actually everyone on the island did. No matter what we were doing, or not doing (napping usually) we always made it out to watch the sunset on White Sands Beach usually somewhere near Station 1. There really isn’t much to explain so I’ll just get straight to the sunset pictures. 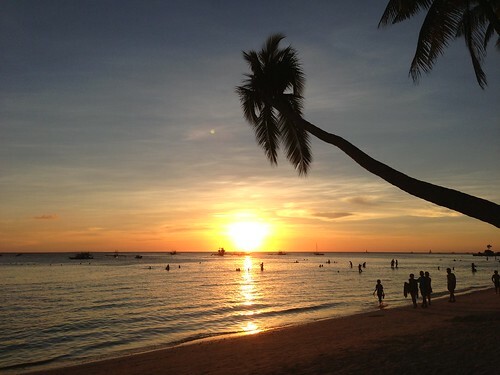 Boracay: The land of white sand, crystal blue sea, and the most beautiful sunsets you’ll ever see. So amazing and so beautiful! And good job on that dive!! The best beach in the world! No question. Thanks! I just didn’t think about it and went for it! So much fun! 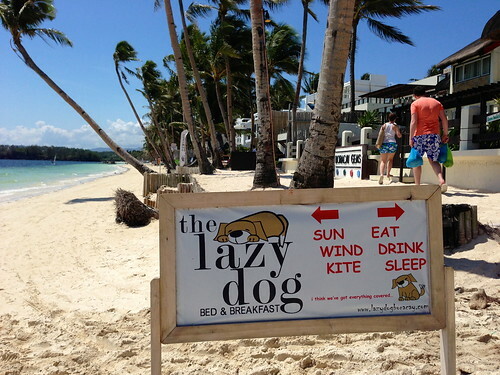 I just came across your blog today and I’m so glad to hear you enjoyed your trip to Boracay and your stay at the Lazy Dog Bed and Breakfast! Thanks for the mention and hope to see you again.